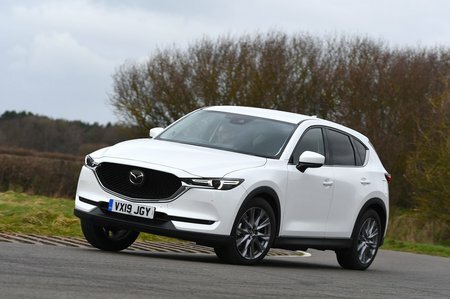 Mazda CX-5 2.0 Sport Nav+ 5dr Auto 2019 Review | What Car? Sport Nav+ upgrades include 19in alloy wheels, a powered tailgate, keyless entry, a sunroof, a reversing camera, a 10-speaker Bose stereo, leather seat trim, heated front seats, a heated steering wheel, a head-up display, and electrically adjustable front seats with a memory function on the driver's side. That's impressive if you can stretch to it, but we still think the entry-level model makes the most financial sense.